Lighthearted touches add to the relaxing feel of the interior. 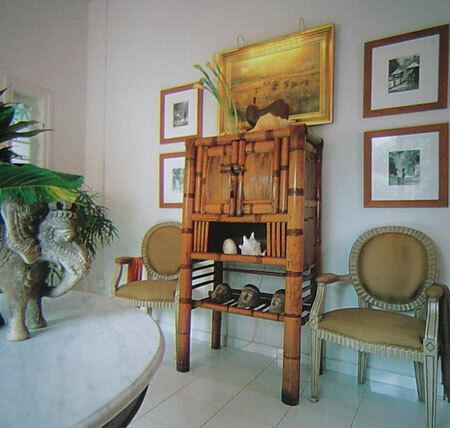 An antique bamboo kitchen cabinet is placed at the entrance to the living room. On the circular table in the foreground is a terracotta elephant found in a flea market in Shanghai.